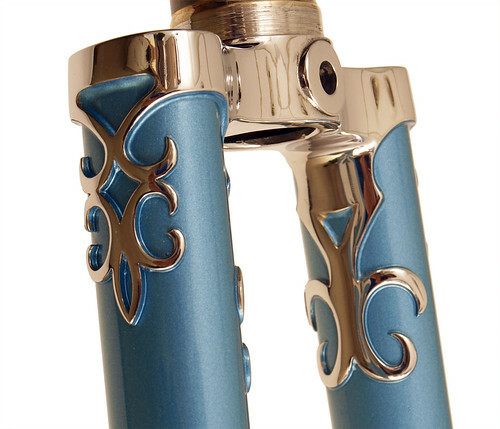 Custom lugs are individually crafted to meet special needs, such as unusual lug angles. They can also let you achieve your special desires. 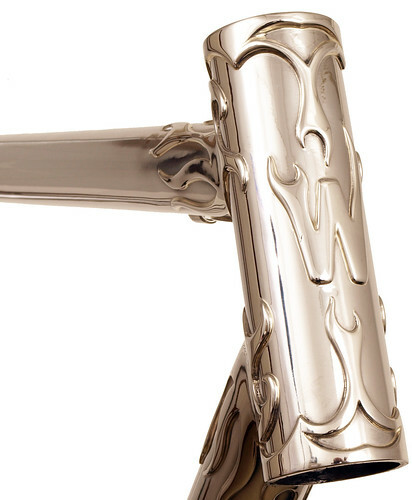 They can be as simple and as functional and clean as our “Italian Cut” offerings. 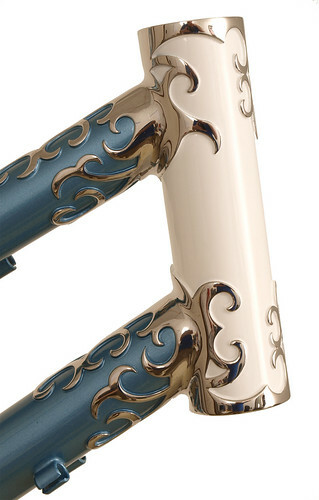 They can get ornate like the Nuevo Coco series, or they can be one-off designs, specially commissioned. 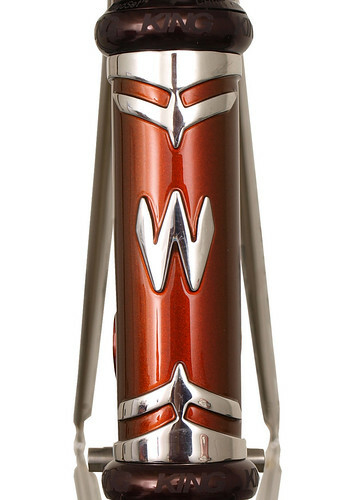 Waterford offers several limited edition lug offerings in styles shown in the slideshow below: Nuevo Coco, Flame lugs and Empire lugs are our current offerings. 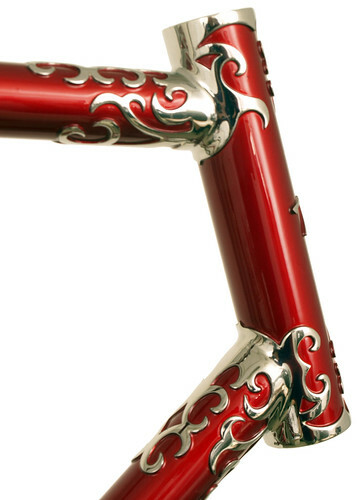 You can also see some one-off designs that might whet your appetite. 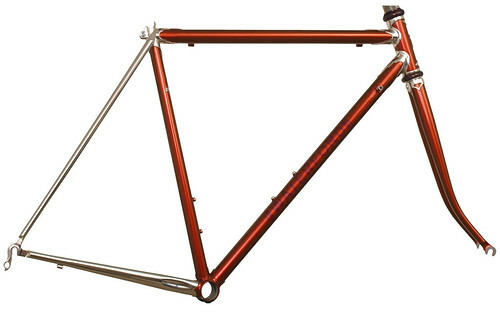 Waterford 22-Series frame with custom Empire (art deco) lugs, painted Copper Metallic, with flat cap seat stay treatment and stainless seatstays. 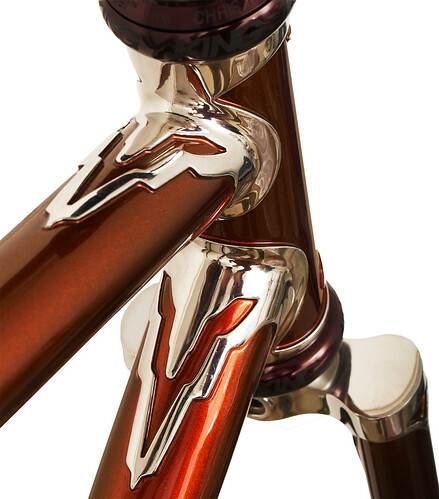 Head tube detail of a Waterford 22-Series frame with custom Empire (art deco) lugs, painted Copper Metallic. 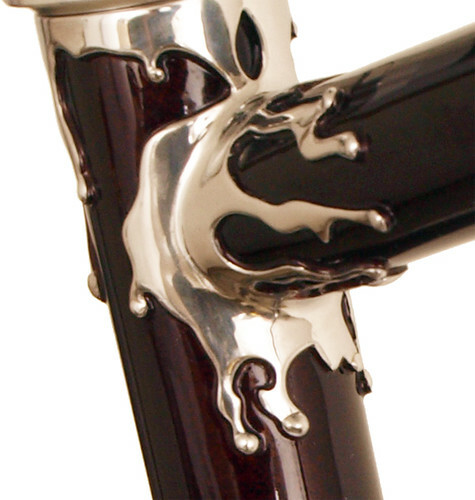 Head Lug detail of a Waterford 22-Series frame with custom Empire (art deco) lugs, painted Copper Metallic. 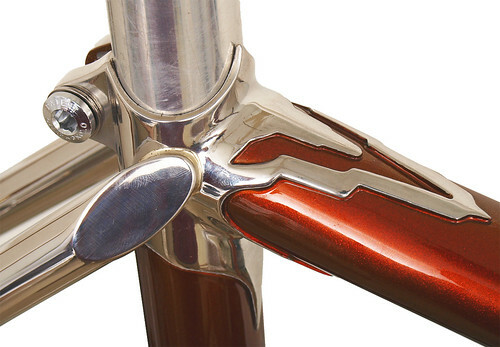 Seat cluster detail of a Waterford 22-Series frame with custom Empire (art deco) lugs, painted Copper Metallic, with flat cap seat stay treatment and stainless seatstays. 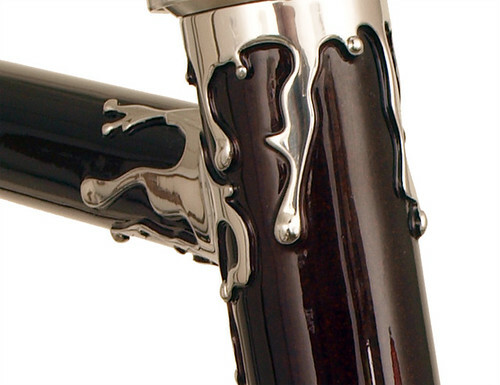 Waterford 22-Series Track Frame / Fleur de Lis Lugs and "Freaky Jackson" paint job - with a nod to famed artist Jackson Pollock - but with a distinctive Waterford touch. 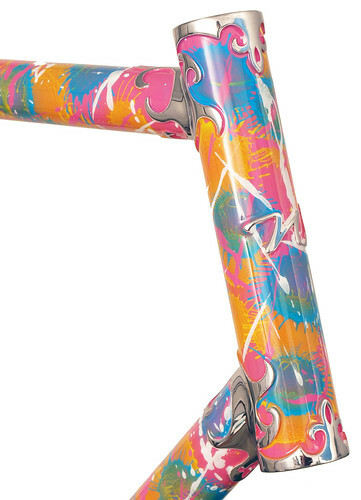 This was finished for a prominent member of the Koochella Women's Track Racing Team of Minneapolis, MN. 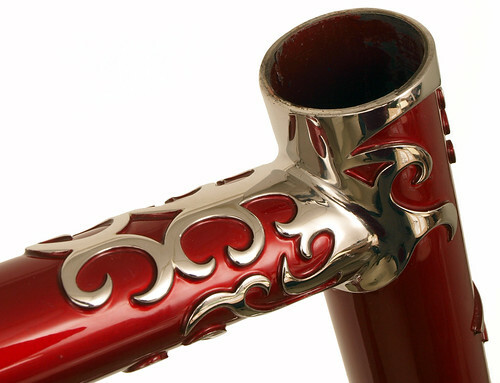 Nuevo Coco upper head lug on 22-Series Artisan frameset in Waterford's classic Candy Red. 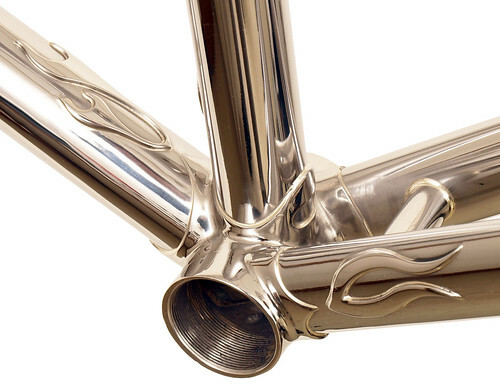 62389 Learn more. 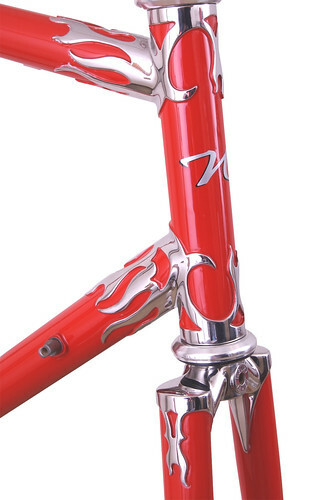 Head Tube of Flame Lug Stainless Steel Waterford Frame. 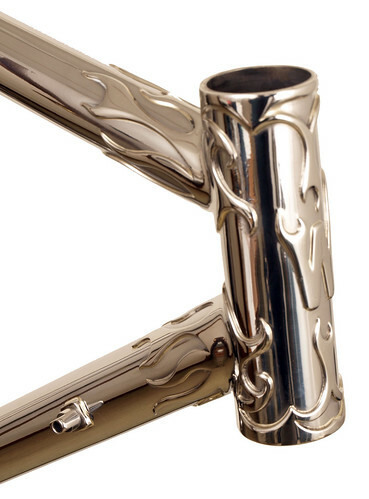 BB View of Waterford Stainless Frames with flame custom lugs. 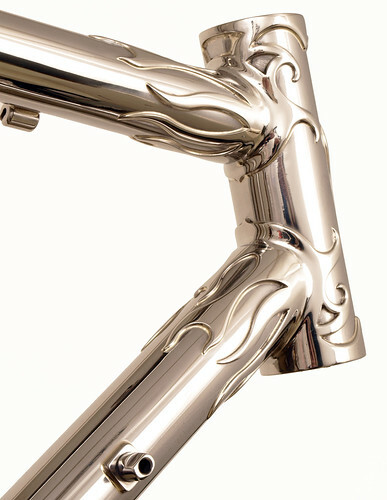 Head Tube of Waterford Stainless Frames with flame custom lugs.